Folic acid during pregnancy along with overall nutritional support is crucial for fetal development. This post may contain affiliate links, you can catch our full disclaimer at the bottom of this post. Though a pregnant woman is “eating for two”, it is not about eating more but rather eating the proper nutritional supplements to make available the necessary building blocks for fetal growth. Prenatal vitamins are designed to supply many of these essential nutrients. Proper nutrition contributes to normal embryologic development at all levels. 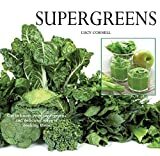 When it comes to dietary choices, it is also equally important to be sure that your prenatal diet does not lack nutrients that can contribute to the development of birth defects. Folic acid is a B vitamin (B9), and is required by the body (as are all vitamins) for normal growth and development. Folic acid during pregnancy is often discussed because of the association that has been made with it’s deficiency and birth defects, most notably: spina bifida (neural tube defect). There have been some studies to suggest that folic acid may also help prevent heart defects and cleft lip and palate. The link between folic acid deficiency and fetal nervous system abnormalities was revolutionary. Though there is some question as to whether vitamin B12 is also involved in this association with birth defects. The incidence of spina bifida (a common form of neural tube defect) significantly decreased once folic acid supplementation became the standard of care for prenatal patients. In the United States alone, approximately 1,500 babies are born with spina bifida annually. Once folic acid supplementation was introduced as a necessary supplement during pregnancy, the occurrence of spina bifida per 10,000 births decreased from 5 to 3.5 (.035% to .05%). After this scientific association between folic acid and neural tub,e development became established and folic acid during pregnancy became common practice in prenatal care, the March of Dimes became actively involved in evaluating how effective this information was being disseminated to the “pregnant community” through various public educational channels. Gallop Polls were used to gather statistics and if became apparent that women ages 18-24 were least aware of the importance of folic acid during pregnancy and when it should be consumed to optimally benefit fetal development. Since pregnancy is often not planned (nearly 50%) and neural tube development occurs in the first month of fetal development, it is strongly encouraged that a folic acid supplement be taken at the recommended dose of 400 mcg daily prior to conception. This is best achieved for women in the childbearing years by taking a daily vitamin supplement with folic acid even if not planning a pregnancy. What is best to take away from this information about the benefits of folic acid during pregnancy, is to start it as soon as possible if you are pregnant or planning pregnancy. Do not wait for the first prenatal visit to get a prescription for prenatal vitamins from your provider. Typically, when calling the office for your first prenatal visit, prenatal vitamins will be ordered for you to start taking at that time so there is no delay waiting for your first visit. Furthermore, there are many prenatal vitamins available “over-the-counter” with the recommended folic acid requirements. Because nearly half of all pregnancies in the United States are unplanned, women during their reproductive years should take folic acid every day. It has been suggested that if women took folic acid 400 mcg a day as a part of their daily routine, the occurrence of neural tube defects could be decreased by as much as 70%. How can you get folic acid? You have had a prior pregnancy affected by a neural tube defect. You are overweight. (Your body mass index (BMI) is 30 or higher. To find out your BMI, go to www.cdc.gov/bmi. You have a blood disorder such as Sickle Cell Anemia (discuss these disorders with your prenatal care provider. You take a seizure medication. Studio Oh! 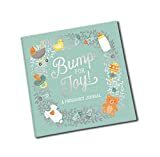 Guided Pregnancy Journal, Bump for Joy! 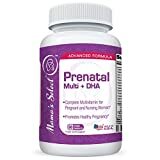 Prenatal & Postnatal Multivitamin with DHA - Mama's Select - Omega 3 Fatty Acids, MethlyFolate for Folic Acid, Iron, Calcium - Neonatal Lactose Free Vitamins, Dairy/Milk & Gluten Free - MTHFR Safe! Maternity Comfort Solutions Copyright © 2019.